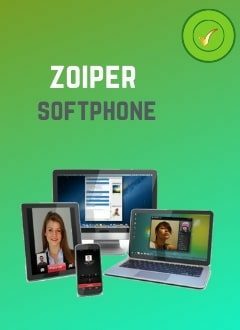 This pack company in France, offers a virtual presence in France including a domiciliation address (postal address), a telephone number, fax number, support in French, translation in to French. If you are a company residing outside France, if you sell your products or services on the internet and if you want to offer your products and services on the French market without having a physical installation in France, this pack is an excellent solution. Thanks to the different services included in this pack, you will have a virtual presence in France and will be able to offer your products to French Internet users as if you were physically in France. Managing your Facebook page in French. Our domiciliation service in France will allow you to have a real address in France to domicile your company in France. You can receive correspondence, use this address on your website, your commercial and administrative documents. Correspondence received at this address for your company, will be sent to the address of your choice in France or abroad at your expense. Non-confidential emails can be scanned and sent to your email address if you wish. The telephone and fax number service will allow you to have a landline number + fax number from France. Received calls and faxes are handled by your receptionist and messages are sent to you via email in your language of contact. Translation of your website into French: Your website will be translated from its original language to French. Publication of your website on French web directories: Your website will be published in all free web directories in France. Managing your Facebook page in French: An agent will be available to make publications in French, respond to comments and messages on your Facebook page. This service includes 20 posts and comments per month. If you plan for more than 20 posts and comments per month, please contact us before subscribing. By subscribing to this virtual company pack in France the customer acknowledges having read and understood the operation of the pack and the services included. The customer declares that he exercises a legal professional activity in France, and undertakes to respect the French legislation. Hivoox Telecom can not under any circumstances be held responsible for the actions of the customer in France. The customer is solely responsible for the exercise of its activities in France and its collaboration with third parties in France.